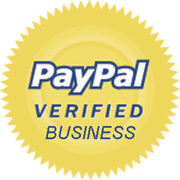 saving you time and avoiding having to deal with several companies. We offer a reliable and prompt service, at a time when you really need it most. All our services are carried out by a specialised group of tradesmen. Last but not least, by following high quality standard practices and recommended guidelines, on completion we will present a certificate of guarantee from 2 to 20 years related to the work performed. 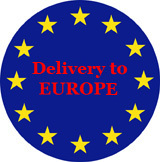 We deliver and provide products and services in UK and Europe. After a brief initial consultation on the phone or if you prefer via email, we will contact you to progress your requests. We believe that the use of modern communication tools is vital to understanding the feasibility of the project. Throughout the project, particularly at the first stage will be very important to establish the parameters of the work and allowing us to make an approximation of the work. Subsequently, we will contact you with an initial estimate and an outline drawing (if needed) of the project. There will not be any obligation or cost at this stage. The whole initial consultation will be provided FREE of charge. Therefore, there is nothing to lose. Your cooperation will enable us to give you a more competitive quote. A representative will contact you to arrange an appointment to meet you personally at your convenience, to discuss in detail your requirements. This service will have a totally refundable fee on completion of work. This is needed to cover our more substantial costs and also to emphasize your commitment and avoid waste of time for both parties. Subsequently, if you wish to finalise a contract we will keep you informed and maintain close communication of the whole work in progress. A detailed drawing and method statement of the work might be needed. We will introduce you our recommended Architect and/or Designer. However, if you have another preference, we will be pleased to collaborate in association. A small fee will be charged to cover our initial cost. All material will have to be paid on delivery. In respect of the work involved, payments will be made in instalment while work is in progress. This will be established in the terms and conditions of the contract. During all work you will be kept updated and we will assist and inform you on the ongoing work and any unforeseen issues. Our commitment is to build a long lasting relationship with all of our customers, providing 100% satisfaction. We will do our very best to make sure that all work proceeds in a smooth manner and minimise any distress. Exterior design, brickworks, paving, driveways, fencing, decking, turfing, lighting, greenhouses, renewable energy systems, greenroof systems, watering systems, drainage, water features, cascades & fountains. The Free Initial Consultation is the first stage in the Exterior Design Process. It gives the opportunity to introduce ourselves and discuss your needs. The consultation will be conducted over the phone where we will call you at a suitable time to ask several questions about your enquiry. After the Free Initial Consultation, a Preliminary Plan & Design will be outlined and tailored to your needs and budget. Once you have received the Preliminary Plan & Design we will then contact you to see if you are happy with the project or if any changes are required or needed. Once the Preliminary Plan & Design is approved, we will then present a detailed drawing for the project. The Project Plan Presentation is an importan stage of the Exterior Design process in order to have an initial vision of your outdoor and indoor spaces to be improved and transformed to your specific requirement. The use of 3D software will enable you to see changes before they are physically executed. The Project Plan Presentation has also a written method statement that describes the work elements, specifying what materials and quantities are to be used in the construction of the project. This will have an initial cost, PRO RATA to the scale of the project and it will be refunded once all works are completed. The purpose of this document is to give a more accurate estimate of the entire project. Once the Project Plan Presentation is approved, we will produce a final and as accurate as possible quotation & schedule for the project construction. This will be signed by both parties. During the entire Exterior Design process there will be close communication between you and our specialised team to make sure that all aspects of the project meet your requirements. Once all works have been completed to your satisfaction we will provide you with all the relevant information and tips that you will need to maintain the structure in the years to come. We also offer regular contract maintenance based on individual required works. This will allow you to enjoy the benefits of the project without the need to consider the ongoing preservation.